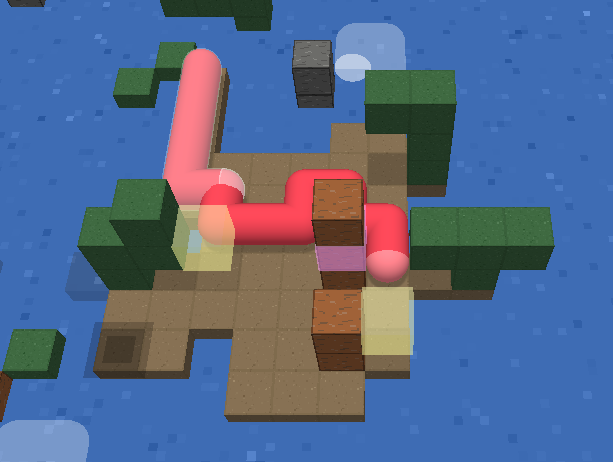 I have been working on a 3D puzzle game called Sausage Dog Tends To Infinity for around three months now. It is heavily inspired by Stephen's Sausage Roll, as well other puzzle games like A Good Snowman Is Hard To Build, Snakebird and The Witness. It could be described as a cross between Snake and Stephen's Sausage Roll. I have had a whale of a time designing levels and coming across funny situations that the player can find themselves in! This shows the first two areas of the game (approximately one hour of gameplay). There will be four in total. This may not be the most active devlog in the world, as I am wary of spoiling the game, and there are a very small number of actual gameplay features that can be discussed in any interesting way. However, I will be posting overview screenshots when I make significant progress in the level design, as well as the occasional gif or video. I look forward to showcasing more level design as I expand the game into the last two areas, and to getting any feedback! I have spent the last couple of days combing hard through all the current levels and trimming them down wherever possible. 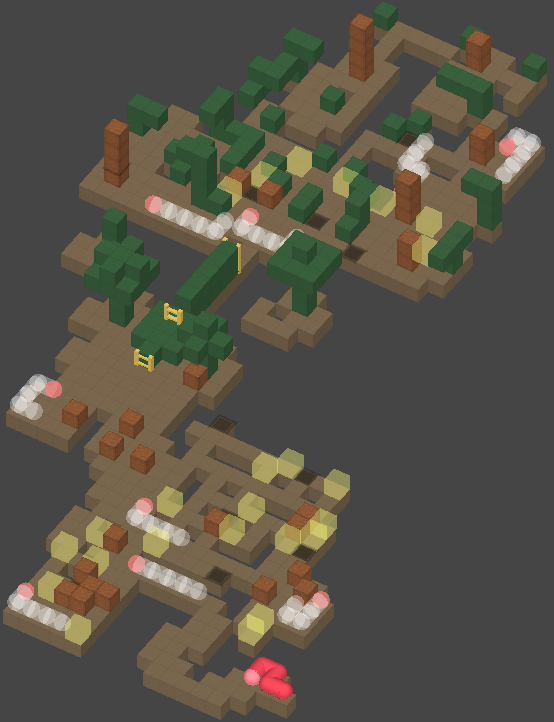 Every level is now as compact as I can make it, without making it too easy to stumble upon the solutions. I have also added one new level to the first area. I am still considering new level possibilities for the second area, but it seems unlikely at this stage, so I will soon be moving on to designing levels for the third area! There are now soft shadows which appear directly below all objects (it's high noon, I suppose), mainly to help distinguish where floating buttons are. The camera's perspective and FOV have been adjusted to help the player to see underneath things, and the translucent line that you use to enter the level now remains whilst you are in the level, making it clear how far back the player can move without moving out of the level. There have been other visual tweaks, such as all buttons, exit points and entry lines disappearing after completing a level to reduce visual noise. I am very much looking forward to getting back into designing levels again! 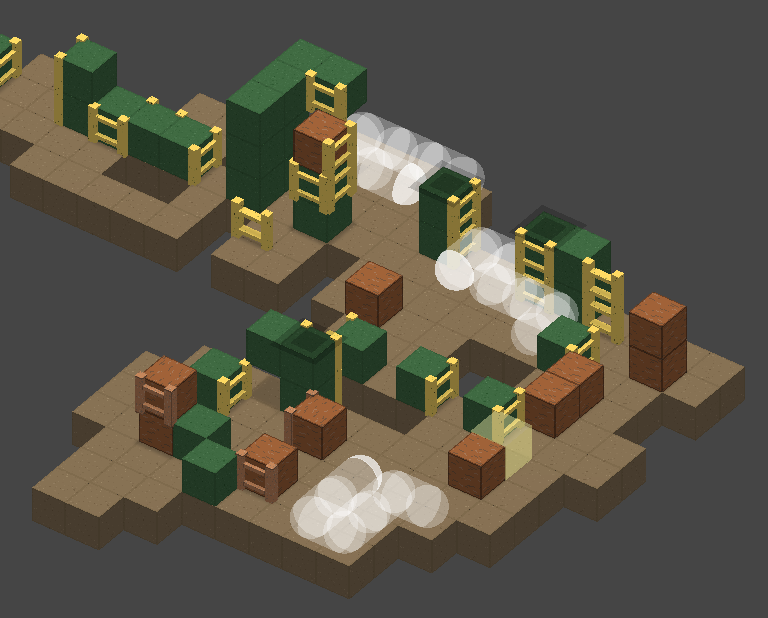 Designing levels for the third area!